Profile: A boutique hotel with Hill Country elements, this 63-room, full-service hotel also has retail spaces, a restaurant and a parking garage. 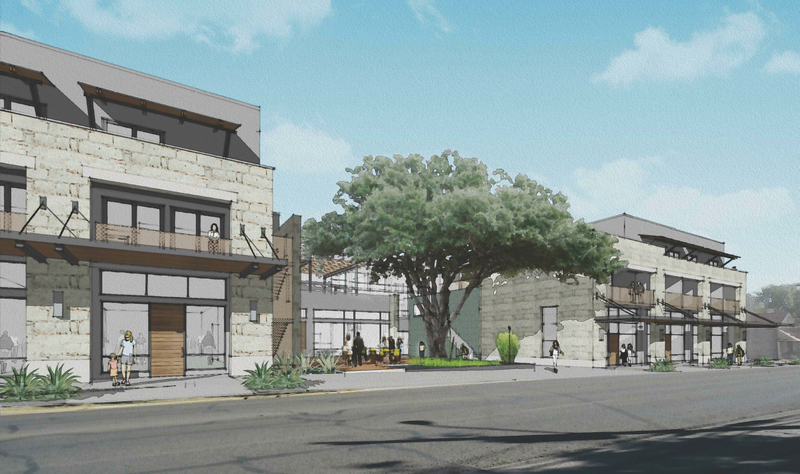 Going up around a famous heritage oak and using the area's representative limestone and stucco, the hotel on a 1.65-acre site will have a Main Street entrance as well as a bridge over Town Creek in the rear. The modern design calls for all-new technology, including AV, Security and Wireless throughout the residential and commercial spaces: guest rooms on two levels, hotel lobby, lounge and living room, conference room, pool/amenity deck, and back-of-house support spaces.